1917 period German MAXIM MG 08/15 Machine Gun. One of 5 that I found in the attic of Seaforth Armoury in 1971. Shown here in the QM lock-up. Canada brought back war trophies from the battlefields in France and Belgium to remind Canadians of the sacrifice and accomplishments of Canadian servicemen and women in what was then called “The Great War.” The name “World War I” was only applied after World War II started in September 1939. Over three thousand machine-guns as well as hundreds of trench mortars and cannons were brought back to Canada by the National Archives. As well some German aircraft, hundreds of rifles, miscellaneous equipment etc. were brought back. These war trophies were then allocated to the Canadian War Museum and to provinces, towns, universities, schools, clubs etc. across Canada on the basis of their war contribution. Many were mounted outside at cenotaphs. It was a good idea to remind Canadians and I just wish Canada had done the same thing after WWII. How much more meaningful would it be to see a German 8.8 cm gun or Tiger tank as a war monument. During World War II many of the WWI captured enemy guns and mortars were scrapped as part of the war effort looking for scrap metal to be used in making new ships, weapons, ammunition etc. Sadly the huge howitzer captured by my unit, the 72nd Battalion Seaforth Highlanders of Canada, which was at Stanley Park, quietly disappeared in WWII. No doubt the sentiment at the time was to send the German metal back to Germany in the form of bombs etc. Over time many of these war trophies have decayed, been lost or scrapped. Some migrated to museums and private collections and have thus survived, sometimes in good condition but more often as incomplete specimens. A few still remain outside and are either maintained or allowed to rot and rust. At the time they were captured, many of the weapons had their capture history painted on them. Over time these markings were eroded or painted over and the histories of these weapons was gradually forgotten. They became simply typical examples of WWI German weapons. 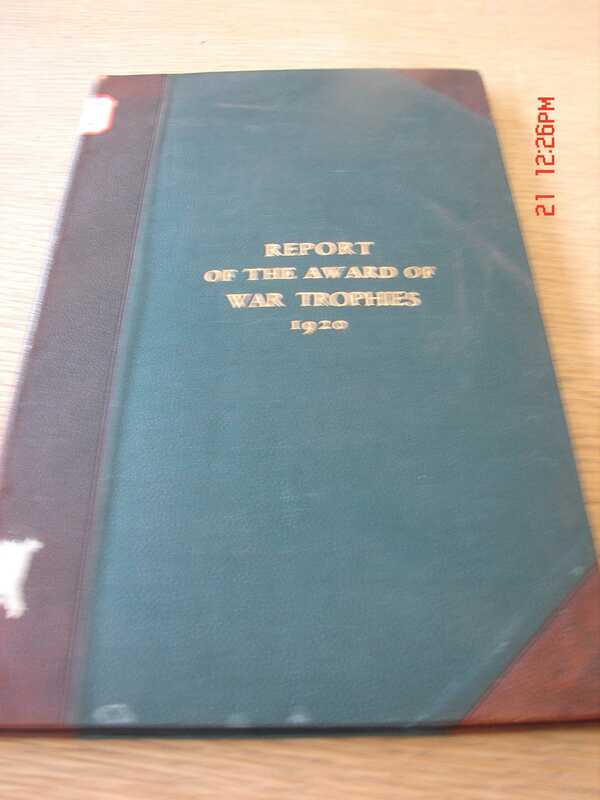 I wrote to the Library and Archives Canada (LAC) in the mid-1990s to ask if they had the records of where these war trophies were distributed. They replied that they did not. In a wonderful stroke of luck and persistance, Lieutenant Colonel Bill Smy, former Commanding Officer of the Lincoln and Welland Regiment, found the original war trophies register in the LAC. He took photos of every page and we are now using this information to reunite the histories with surviving war trophies. The most incredible war trophy is the all original Fokker D-VII aircraft at Brome County Museum in Knowlton, Quebec.